January 31, 2012 by Carol B. Okay, week 4 has come and gone and I only have 2 projects and a partially finished journal spread. Also have an in progress pic of “The Crazy World”. 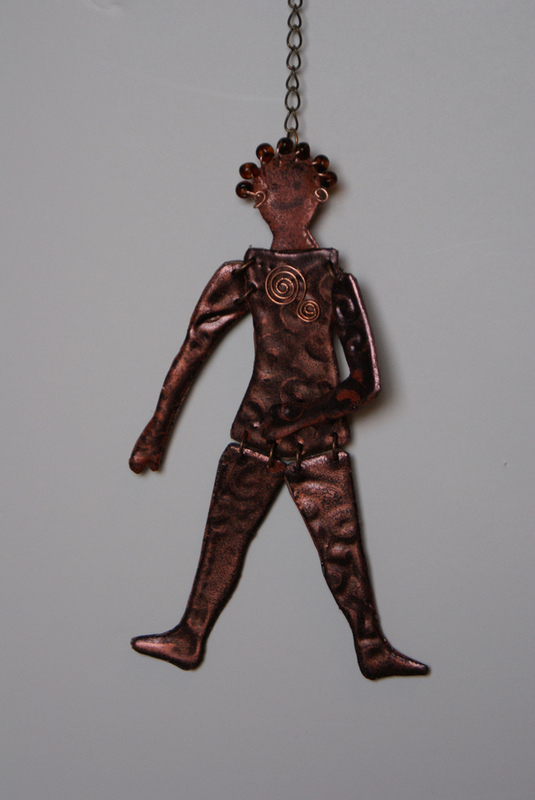 First off I was inspired by ladyoflosttimes to try my hand at making a doll with copper embossing powder. It turned out OK, but I did learn that the next time I want to poke holes in something that is embossed, I should heat the awl first. The next project is one that I kept putting off because I knew it would be difficult. 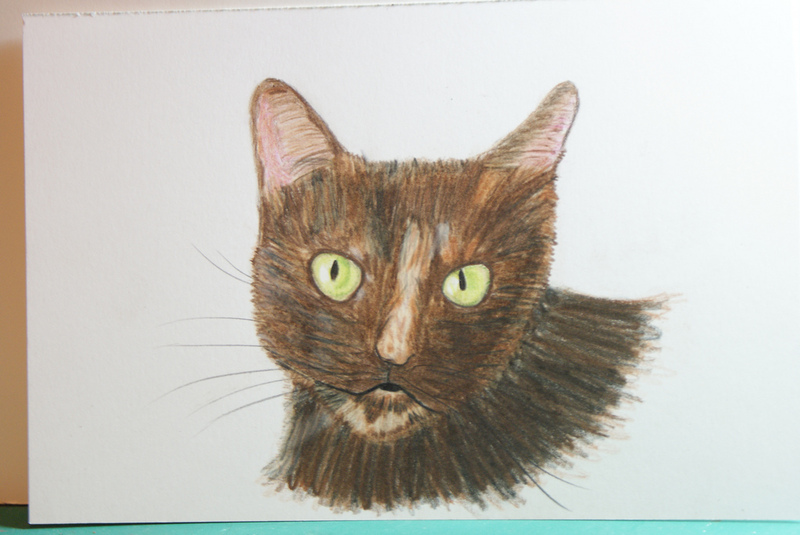 It’s a colored pencil drawing of Ginger and it was hard to do justice to all of the colors in her tortoiseshell colored fur. I will need to keep practicing. Ginger is a whole lot cuter in real life. As many of you know, I have been working on a project I call “The Crazy World”. 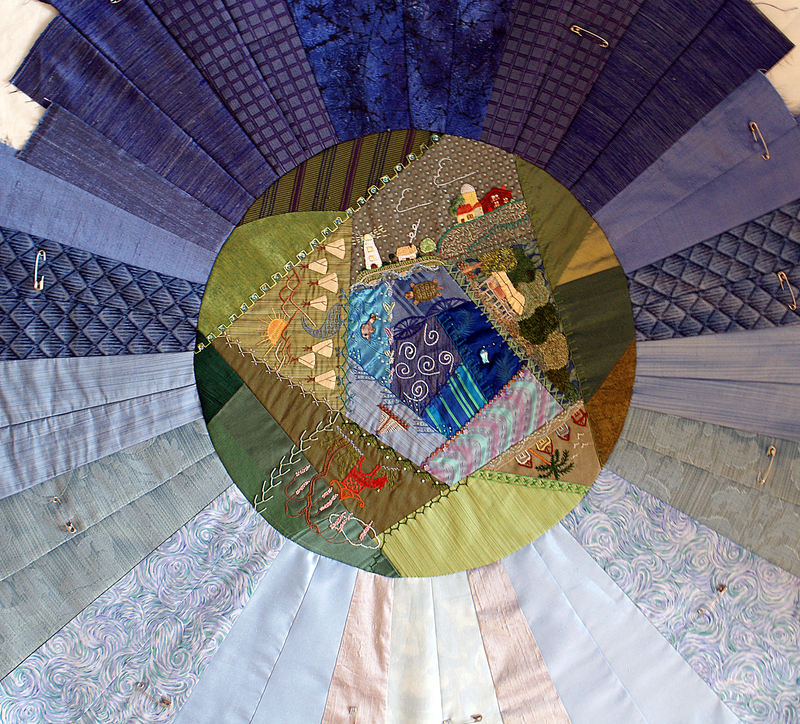 Well I finally finished the background and appliqued the world to the center. To give you perspective, the center circle is 18″ in diameter. As always, click on the images for a larger picture. That is it for this edition, I have a bad cold so keeping this post short. Hopefully I will have more to share next week. even sick you crafted on! great projects! 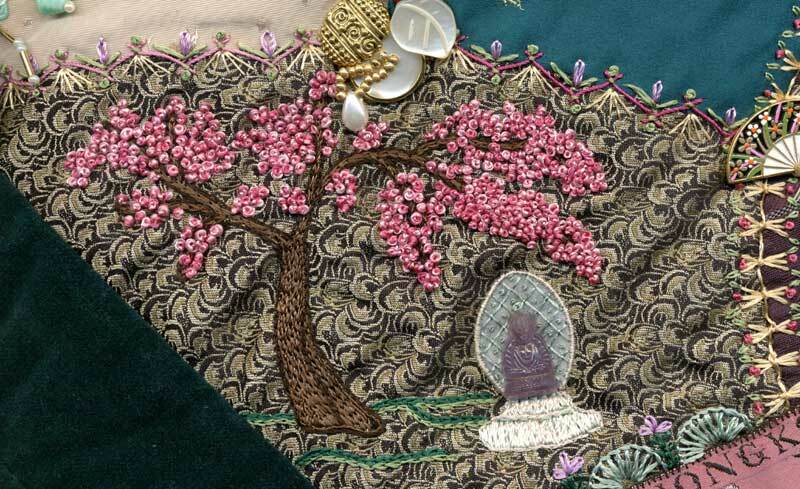 wow — your ‘crazy world’ piece is stunning! as always your work so beautifully rendered…your 18″ circle flawlessly appliqued and so smooth. crazy quilting so fun and thotfully done. LOVE the rays of blue background. wonderful creation unfolding! hope you shake your cold soon and feel better. thx for sharing. oxoxo c.
Wow great projects! Love the copper doll. That is very cool! Your cat is just totally stinking amazing!!!! Your quilt…. I’m speachless!! Love them all!! !